Establishing and funding a revocable living trust is a simple way to avoid a court-supervised conservatorship if you should become mentally incapacitated. You can nominate someone yourself to take care of your personal affairs later rather than rely on a court to select someone you might not prefer to serve. A conservator isn't the same as a guardian, although a mentally incapacitated individual—referred to as the ward—might require both. A guardian tends to the individual's medical care and physical needs. A conservator manages the ward's finances for her. A court might appoint both a conservator and a guardian, or it might name the same person to assume both roles. If the ward's finances involve handling more than $20,000 or so annually, a conservator will generally be appointed. A guardian can typically handle smaller amounts of money on behalf of the ward. A revocable living trust is established by writing a trust agreement that sets its terms. A trust involves at least three primary players: the grantor—also called the trustmaker, settlor or trustor—a trustee, and one or more beneficiaries. These parties will typically all be the same person. This sets a revocable living trust apart from an irrevocable trust, which requires that the grantor step aside after she's created the trust, naming someone else as trustee and naming beneficiaries other than herself. The grantor will proceed with funding the trust with all or some of his assets after the revocable living trust agreement has been signed. This involves transferring ownership of the assets into the name of the trust. She can designate the trust as the beneficiary of retirement accounts, life insurance policies, and annuities. The trustee—who is typically the grantor—will then manage, invest, and spend the trust property for the benefit of the beneficiary, who is also the grantor. How Can a Trust Help to Avoid Conservatorship? The grantor will not own any property in her individual name if all her assets have been funded into the name of the revocable living trust. They'll instead be owned by the trust and managed by the trustee for the benefit of the beneficiary. The trust assets therefore won't be subject to a court-supervised conservatorship should the grantor become mentally incapacitated, although the grantor might still need a guardian to see to her medical care and to oversee small daily expenses. The grantor can name a successor or disability trustee in the trust agreement, someone to whom she gives legal authority to step into her shoes and take over management of trust assets should a time come when she can no longer do so herself. A revocable living trust can only control assets that have been funded and transferred into it. This can pose a problem for life insurance, retirement accounts, and annuities. 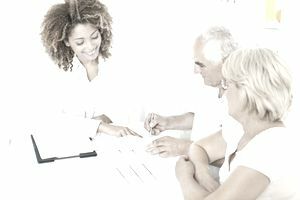 The grantor can change the owner of the life insurance or a non-qualified annuity to the revocable trust, although this can't be done with retirement accounts or qualified annuities. A change of ownership for these types of assets will trigger an immediate income tax on their value. He can sign a general power of attorney or a specific power of attorney with the account custodian, but this must be done before his incapacitation occurs and ideally well in advance. Courts will generally not honor powers of attorney if there's any question as to whether the individual was incapacitated at the time he signed it. Some states offer creditor protection for life insurance or annuities that are owned by an individual rather than a revocable living trust, so changes of ownership should be avoided with these assets. And if a general power of attorney is used, it must contain the specific ability for the agent—the individual authorized with these powers—to deal with life insurance policies, annuities, and retirement accounts.